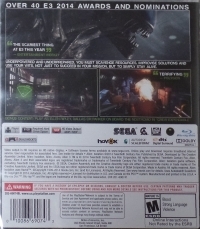 Bonus Content: Play as Ellen Ripley, Dallas or Parker on board the Nostromo in “Crew Expendable”. 05-23-2017 silverbow Box Text Over 40 E3 Awards and Nominations “the scariest thing at E3 this year” - Entertainment Weekly Underpowered and underprepared, you must scavenge resources, improvise solutions and use your wits, not just to succeed in your mission, but to simply stay alive. 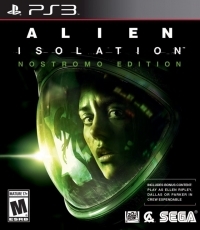 Bonus Content: Play as Ellen Ripley, Dallas or Parker on board the Nostromo in “Crew Expendable”.